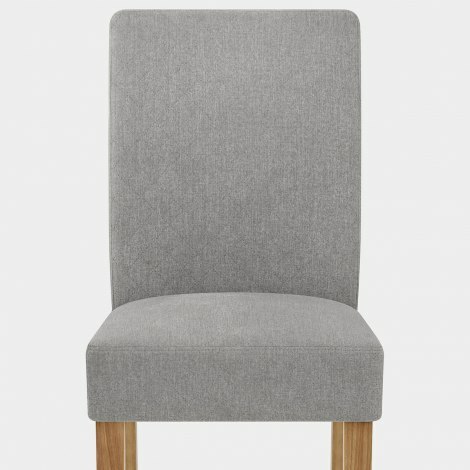 The Austin Dining Chair Grey Check is a traditional item that offers plenty of modern class and elegance. A stylish and comfortable choice suited to a variety of dining locations, the Austin is sure to bring a sophisticated look to your interior. 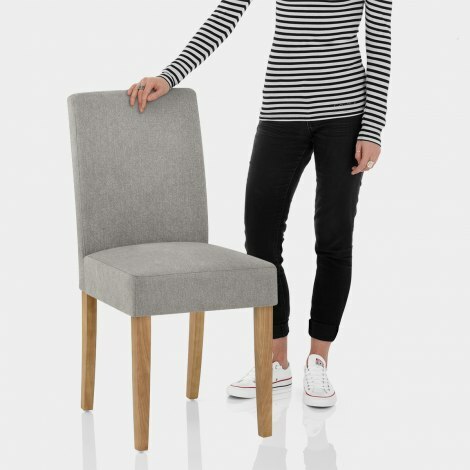 Covered in grey fabric, the seat is sprung and belted to provide excellent comfort and this combines with the tall supportive backrest. Adding stylish flair to a classic design, the seat features a subtle textured diamond design for a smart touch. The frame is formed of solid wood and has a charming oak finish that complements the seat and will match a range of interior settings. Plus, the four legs include protective plugs on the underside to take care of flooring. Lovely comfortable, inexpensive chairs. Great to be able to buy extra chairs if I need more. Just what I wanted at the right price.